Modern construction in the popular Uptown Lofts. This one is ready to move right in and just hang your pictures. The light and airy floorplan with high ceilings isflooded with natural light. The upgraded kitchen has maple cabinetry, granite counters, black appliances, and a breakfast bar that opens to the adjoining living/dining rooms. Enjoy morning coffee on the private patio or cozy up next to the gas fireplace on cool evenings. The sizable master has a 5-piece private bath withlargewalk-in closet while the secondary bedroom is served by a hallway bath. Laundry day is a breeze in your in unit laundry room with washer/dryer. 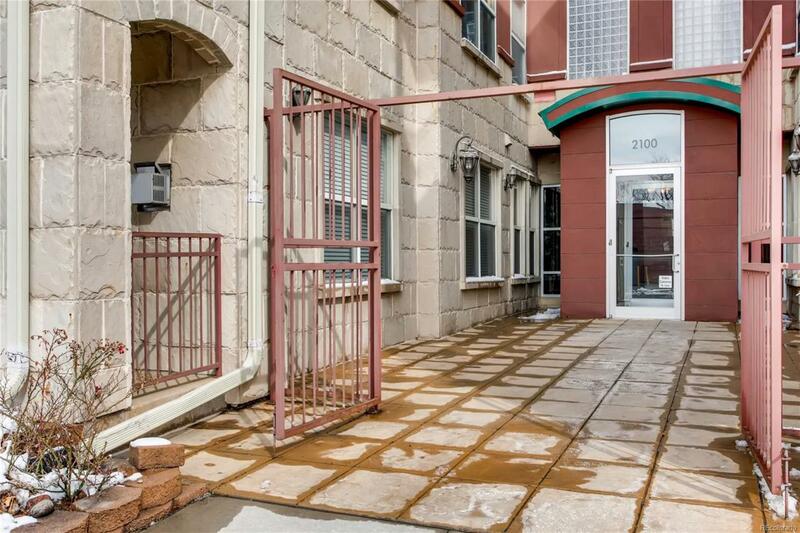 Heated and secure underground parking that is deeded+private storage locker, and secure building entry. Barrier free living with no stairs. Active and pet friendly HOA. Great location for medical professionals that is walking distance to Kaiser, St. Lukes and St. Josephs. It is a short walk to the many restaurants and shops on 17th and to City Park.